Most new electronics have lower quality if compared with the older version. The reason is manufacturers try to reduce the cost of product as much as they can. They increase speed of manufacturing lines, reduce the labor cost, reduce materials and parts to keep the costs as low as they can. They spend more money for the new product on advertising. They design older products to last longer than newer products. That is why the new product is not nearly as reliable and is easily defective after the one-year warranty expires. The older product can last between 5 and 15 years, while a newer product might last only 2-3 years. By not repairing devices we are also polluting the environment. When TVs or electronics are thrown away the poisons in them seep out and can lower both air and water quality. We combat this by repairing thousands of TVs and electronics every year. We will find the best solution for you and save you money versus purchasing a new device. If new parts are too expensive, such as the panel of a TV, we will buy a broken screen from you and use it as parts to repair other device. We average paying $1 per inch of screen if it is broken. Call IN HOME TV & ELECTRONIC SERVICE 24/7 at 613-513-5494 or email us at repairbigtv@yahoo.ca for the best solution. You also can fill out the form on our contact page and we will contact you as soon as possible. 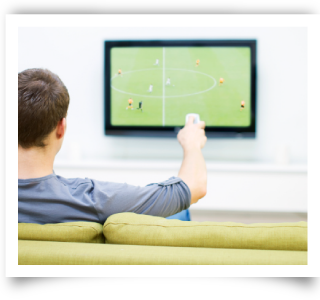 In Home TV & Electronics Service 24/7 offers quality replacement parts for a wide range of electronics, including TVs, wireless devices, computers and more. From batteries and chargers to adapters and remote controls, we have the parts and products you are looking for. All of the parts we sell are backed by a 180-day product warranty and we make it easy to shop with us by accepting payment through our PayPal account. We can fix any kind of television model. Please call or text us at 613-513-5494 or email us at repairbigtv@yahoo.ca with the model number.